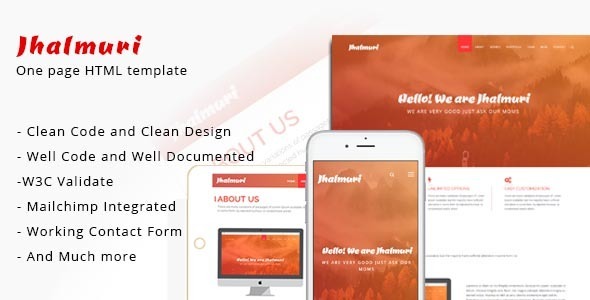 Jhalmuri One page HTML template . This template has been designed for any hunky-dory creative, corporate, portfolio website. Built it with twitter bootstrap 3, HTML5 and CSS3 . Jhalmuri is very easy to set up and customize and comes with a well documented help file, which will assist you configure the template in minutes.